As wave season begins, many travelers are taking advantage of cruise sales to book their next vacation. 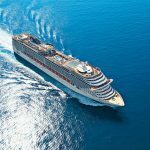 Squaremouth, a leading travel insurance comparison site, shares three questions travelers should ask themselves before buying travel insurance for a cruise. Should I Buy My Cruise Line’s Travel Insurance? Travelers with specific concerns should compare the insurance offered through their cruise line to that of a third-party to ensure they are getting the coverage they need for the lowest price. Third-party travel insurance is often more comprehensive compared to what’s offered through the cruise line, which may limit benefit amounts or remove coverage altogether. Travelers who book insurance outside of their cruise line are also able to insure all of their expenses, including any additional flights or hotel stays. While cruise line insurance may cover Trip Cancellation, it will often only cover flights and hotel accommodations booked through the cruise provider. Likewise, their Cancel for Any Reason coverage provides a cruise credit instead of the cash payout offered by third-party insurance. How Much Medical and Evacuation Coverage is Enough? For travelers going on extended or remote cruises, medical bills can add up quickly, especially if an evacuation is required. Do I Want Coverage on the Way to My Cruise? For those traveling to reach their cruise, a lot can happen before even arriving at the port. “If a mechanical or weather-related flight delay causes you to miss your boat, the Travel Delay and Missed Connection benefits can help you get to the next port,” said Squaremouth Product Manager Adam Rusin.